In a solemn outdoor ceremony held on Saturday morning, September 12 on the beautiful grounds of Notre Dame Convalescent Home in Norwalk, members of Council 14360 were joined by their families as well as residents and staff of Notre Dame at a special Mass in remembrance of those who lost their lives fourteen years ago on September 11, 2001. On a bright, sunny morning, Notre Dame residents, along with staff, volunteers, and a Knights Color Guard, formed a procession across the Notre Dame grounds to a special area where the Mass was held. 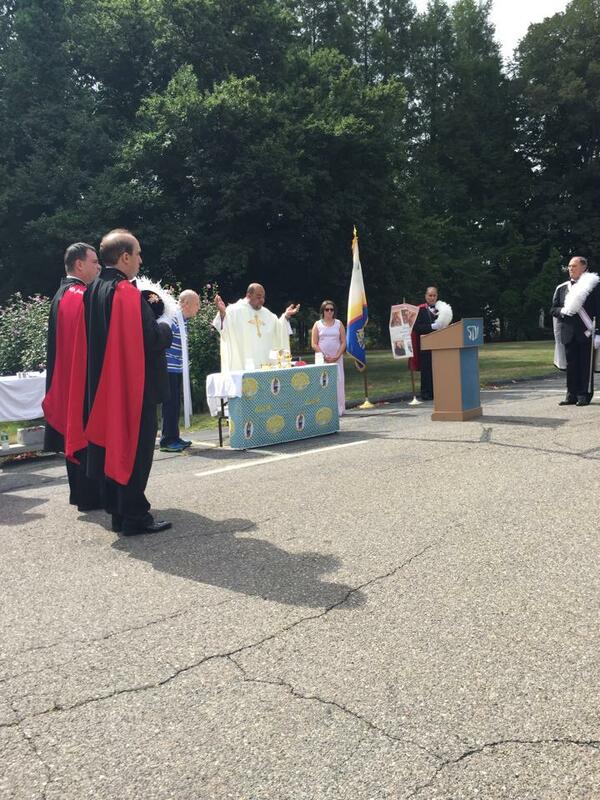 Father Reggie Norman, Pastor of Our Lady of Fatima parish in nearby Wilton, was the celebrant of the Mass, with special assistance from Notre Dame resident and former St. Matthew Pastor Monsignor Joseph Kohut. Special American flags bearing the names of 9/11 victims were part of the ceremony as well. 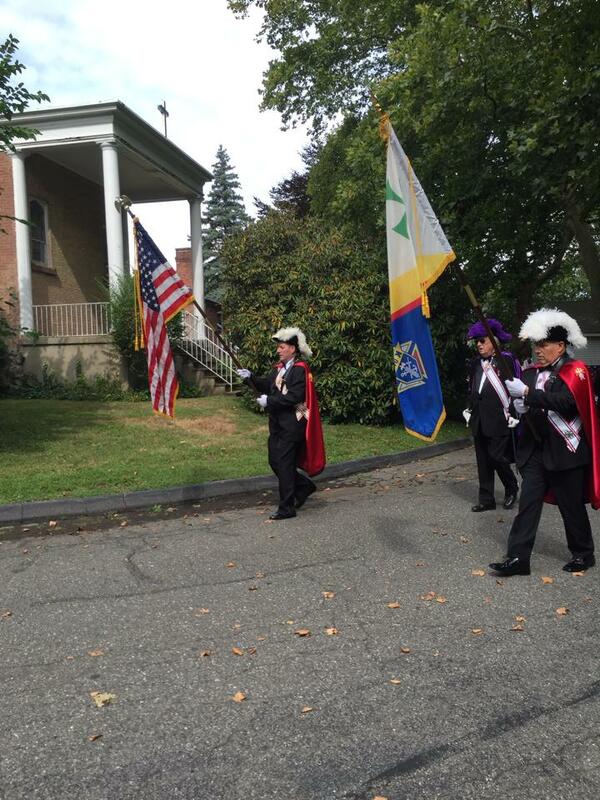 The Mass was coordinated by Notre Dame’s Sister Lucie Monast, SSTV, with assistance from Knights of Council 14360 and members of Catholic Daughters, Court St. Matthew, #2640. Following the Mass, a special picnic was held for all attendees. It was truly a special and memorable morning for all.